Recently, TMR of the blog http://www.c64crapdebunk.wordpress.com has had the cheek to try and undermine my amazing exposés of just how bad the Commodore 64 is by “debunking” them, so here’s my debunk of his debunk of “Frankenstein’s Computer”. The Commodore 64 is made up of mismatched parts. The reason why the parts are mismatched is that the BASIC and Kernal ROMs have no commands or routines to deal with the VIC-II graphics chip or the SID sound chip. To sum up, the Commodore 64 ROMs are hardly any different to the Commodore PET ROMs, so on that basis the Commodore 64 thinks it’s a Commodore PET. This makes it “Frankenstein’s Computer”. Commodore started a price war against all other computer manufacturers. This was partly in revenge for Texas Instruments selling cheap calculators instead of just selling chips to other manufacturers. I think that instead of this, they could have made a deal, by setting up a cartel like in the series “Dallas”, to roughly fix the prices of their computers. This shows that even JR Ewing wasn’t as ruthless as Jack Tramiel. The term “off the shelf components” just means chips that were available to any manufacturer, so they didn’t have to develop their own custom chips. One of these chips was the Texas Instruments 9918 video display processor, which was used in lots of computers and games consoles. 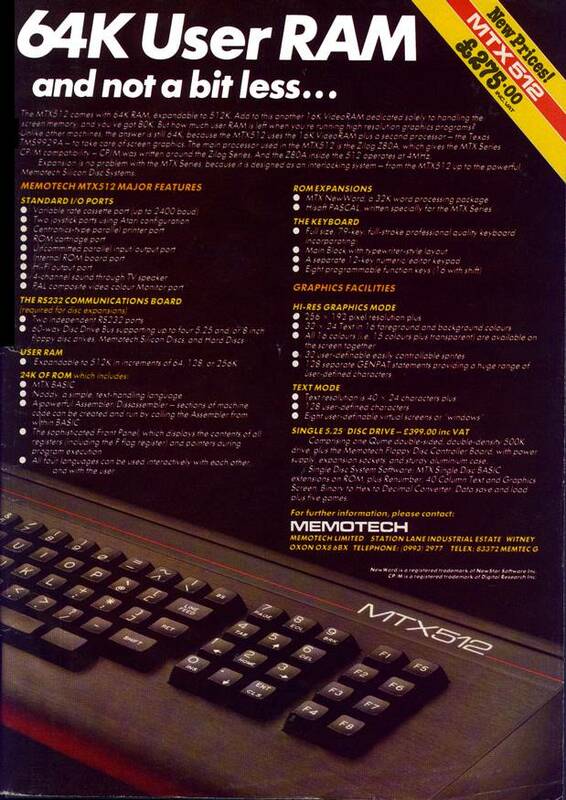 It was used in the Memotech MTX computers, the Tatung Einstein, and the original MSX standard computers. The way it was used in those computers was by the manufacturers providing their own BASIC commands and ROM routines to use it, so this meant it wasn’t mismatched. TIMEX is a company which changed its name, as well as taking over previous companies, but its origins are firmly in the USA http://en.wikipedia.org/wiki/Timex_Group_USA . It seems that at one stage it’s set up a Dutch holding company, but that doesn’t make it Dutch! Commodore did something similar, so people didn’t know if they were American, Canadian, or Bahamian! Unfortunately for Atari, although they’d issued programmers’ guidelines about using jump tables guaranteed to remain the same on future ROMs instead of diving into the ROM wherever they liked to save 2 bytes or whatever, some programmers ignored this, making their sofware incompatible with the Atari XL ROMs. There was a third party program to fix this, as well as Atari’s own “Translator” disk. Several years later, the Atari’s descendant the Amiga would face the same problems with the Kickstart 2.04 ROM suddenly being fitted to the final Amiga A500 models to be produced, as well as the Amiga A500 Plus. This was because programmers had been up to similar dirty tricks on the Amiga 1.3 ROM. Of course, the Amstrad CPC range of computers used “off the shelf components”, which were already tried and tested technology, so by basing their BASIC on an already existing version of BBC BASIC for the Z80 second processor on the BBC Micro, as well as the same 6845 graphics chip as the BBC Micro, they managed to produce a nicely integrated design, unlike the Commodore 64! The Amstrad CPC range was also seen by Spectrum owners as the “Super Spectrum” computer which Sinclair refused to produce. Other companies, such as Elan with their Enterprise, and MGT with their Sam Coupe also attempted this, but were too late. Meanwhile, Sinclair was bankrupted and sold all their technology to Amstrad, who repackaged it as the Spectrum +2 and +3 versions. The reason why Commodore BASIC V2 doesn’t accept hexadecimal numbers is that it’s an 8K BASIC and this facility was only built in to later BASICs with at least 16K. For this reason, Atari BASIC doesn’t accept hexadecimal numbers either. Of course, hexadecimal numbers are accepted by Amstrad’s Locomotive BASIC, as well as by MSX BASIC. In later issues of “Compute!” magazine they had a new version of their MLX Machine Code checker for the C64 which accepted hexadecimal numbers and checked each line before accepting it, so there wouldn’t be any mistakes. Of course, some C64 programmers triumphed in the face of adversity, but some of these programmers had learnt 6502 Assembly Language on other computers, such as the Commodore PET, Commodore VIC-20, Atari 400, 800, or XL, Apple ][, Acorn computers, or even Microtan or Oric computers. TMR has confessed to learning on a VIC-20. Other programmers read books by authors who had the benefit of learning 6502 Assembly Language on other computers. These authors include Jim Butterfield, David Lawrence, and Paul Roper. So, to sum up, the most important paragraph in this article is repeated below. There have been two or three different approaches to fixing the totally inadequate, crappy Commodore BASIC V2 on the C64. These involve extending BASIC or replacing it completely. Extended BASIC packages usually, but not always, choose to prefix each extended command with a character usually not used in BASIC commands, such as an @ symbol, or an exclamation mark. The crappy Commodore BASIC V2 interpreter could be copied from ROM to RAM and modified to look out for these characters, then go to a new routine to deal with them. One method is to rewrite an error vector to point to your new code, but of course I have no real idea how this is done. This is because it shouldn’t be necessary in the first place. Other alternative BASICs, such as Simons’ BASIC and Laser BASIC totally replace Commodore BASIC V2, not requiring their commands to be prefixed by any special characters, but Simons’ BASIC keeps the Commodore abbreviations for commands, while Laser BASIC doesn’t. Some extended BASICs for the C64, such as Applesoft BASIC on http://commodore.software/index.php?option=com_jdownloads&view=category&catid=10&Itemid=126 , don’t require special characters, but don’t totally replace Commodore BASIC V2, because the Commodore abbreviated commands still work. Now read on for details of a quick fix for the Commodore 64. I was pleasantly surprised, or even shocked when I recently found and downloaded a copy of something called “GWBASIC VER 1.0” by Mariani G & Sorgato F which was on the now defunct website Wikispaces, but is now on https://www.commodoreserver.com/PublicDiskDetails.asp?DID=49345731C288494094DA24B832E74E56 This enables people to program computers even if they’re not good at maths. I demand this right! It was originally created in 1987! It has 26111 bytes free. The function keys are already defined and can be redefined with the KEY [n],[string] command, although the strings can’t be very long. Unfortunately, the list of function key definitions don’t get their own window and only the keys F1 (LIST), F3 (LOAD”), F5 (CONT+CHR$(13)), and F7 (TROFF+CHR$(13)) are displayed, because the display doesn’t change when you press the Shift key. The other key definitions are F2 (RUN+CHR$(13)), F4 (SAVE”), F6 (TRON+CHR$(13)), and F8 (KEY). I started to type in some of the amazing Microsoft Extended BASIC commands I originally learnt from reading MSX magazines in 1984, because MSX BASIC is heavily influenced by and an update to Microsoft’s GW BASIC for MS-DOS, as well as their Tandy Color BASIC/Dragon BASIC. These commands include SCREEN [n] and LINE (x1,y1)-(x2,y2). Unfortunately, I found out I couldn’t clear the C64 graphics screen with a simple SCREEN 1 command, so this version of GWBASIC isn’t all I’d hoped for. It may require the routine from my “DRAWING THE LINE” series. The Commodore abbreviated commands still work as well. Further investigation revealed that it was originally released by an Italian company called Systems or Systems something who produced Commodore 64 specialist magazines such as “Commodore Computer Club” which were actually in Italian! This means TMR thinks they’re “totally irrelevant”. Not only that, but I found this out, as well as news of their MS-DOS simulator from http://www.c64-wiki.de/index.php/MS-DOS_Simulator , a page which is written in German, so that makes it even more irrelevant, as far as TMR is concerned! The C64 colours have been renumbered to make them similar to GW BASIC. 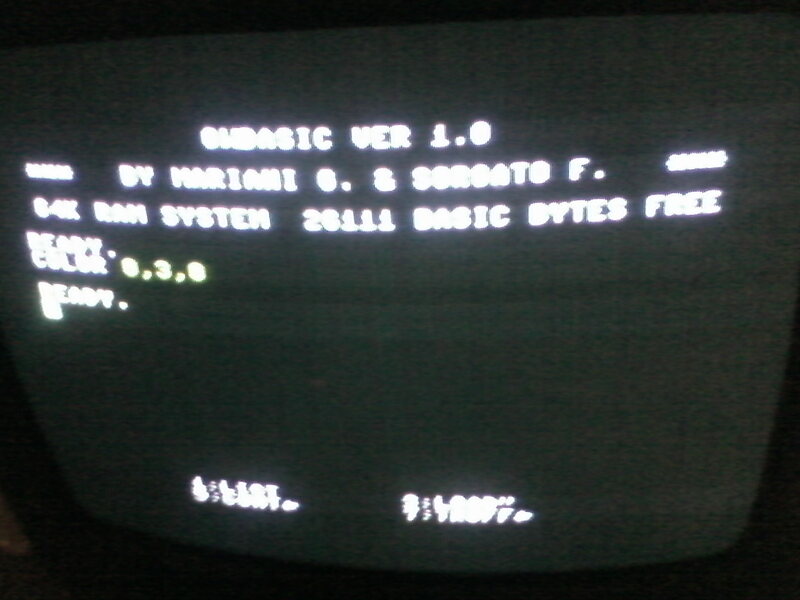 Line 30 just stops the program returning to the text screen, the same as MSX BASIC would always automatically do, then print an error message if there was one. You need to hit RUN STOP and RESTORE to break out of this, similar to MSX CTRL and STOP. The screen numbers SCREEN 0 (text) and SCREEN 1 up to 15 (graphics) seem to be available, but are mainly the same hires or lores C64 graphics display modes, compared to SCREEN 0 (mono text with up to 40 columns), SCREEN 1 (multicolour text in up to 32 columns with sprites), SCREEN 2 (hires graphics with sprites), and SCREEN 3 (blocky graphics with sprites) on MSX. Apart from this, the number 1 following the comma at the end of the LINE command selects the colour, but it seems only the colours 0 and 1 are available, otherwise you get an ILLEGAL QUANTITY error, so I’ll have to investigate further. Giving another COLOR command only succeeded in changing the colour of the line already there, as well as drawing another line in the same colour. Unfortunately, when I tried to SAVE the program listed above I got the error message “Disk not ready”, but I think that copying the relevant GWBASIC file or files onto another disk image, or a real floppy disk will probably fix that. Now it looks like people reading this can have all the fun of typing in lots of GW BASIC listings, such as for the IBM PC and the short lived IBM PC Jr (which was killed off partly by biased Commodore ads) from books, as well as for these and the Tandy “Coco” from “Compute!” magazine, and even Dragon/Tandy “Coco” BASIC listings from INPUT magazine with slight modifications! The changes you need to make include multiplying or dividing the screen coordinates, as well as replacing the Tandy/Dragon PRINT@[n] with LOCATE [y,x]:PRINT , but I’m not sure what other alterations may be needed at the moment. 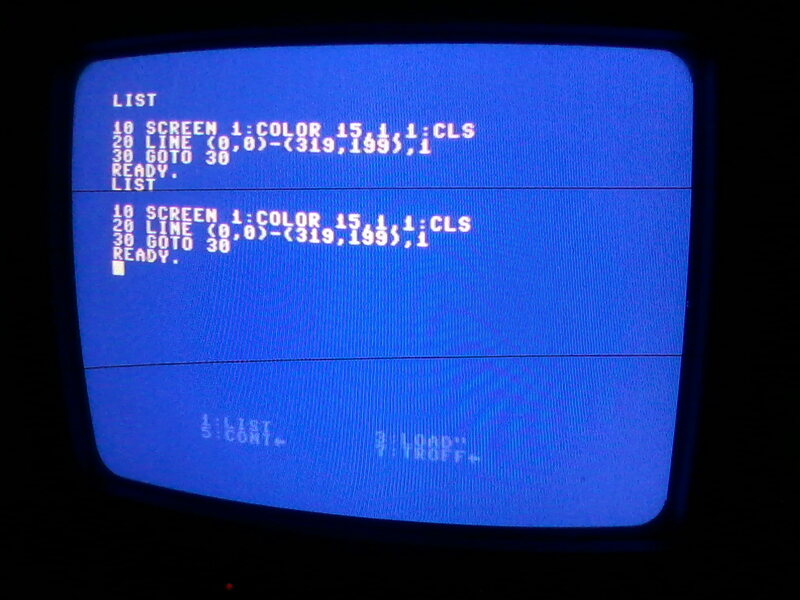 PMODE n,n and PCLS are commands I never read in MSX BASIC listings, and they don’t work in this implementation of GWBASIC for the C64 either. Obviously, PEEKs and POKEs for Dragon, Tandy, and PCs won’t work with GWBASIC for the C64. 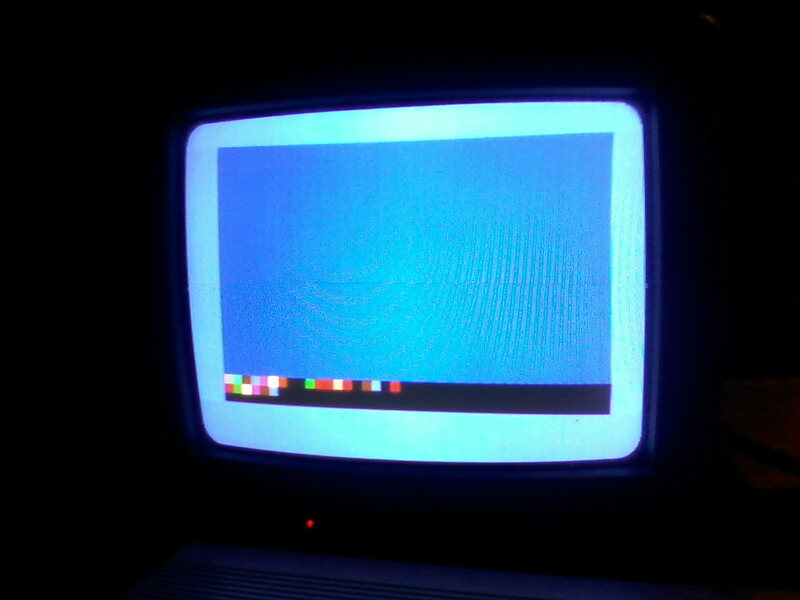 Don’t forget there’s also a Spectrum emulator which enables you to have all the fun of programming in Sinclair BASIC on your C64! You used to be able to find it on a “totally irrelevant” Italian website which has since been taken down. I think that what all of this shows is how powerful the classic GW BASIC is, as well as the fairly compatible QBASIC. Unfortunately, Visual BASIC isn’t really BASIC at all. That’s all for now! I think I’ll go and play with my Atari Assembler Editor and study some more Polish. Rain Man was a film released in 1988, starring Dustin Hoffman as “Rain Man” or Raymond, who had some kind of autism, and Tom Cruise as his estranged brother Charlie, who only remembered him as his imaginary childhood friend “Rain Man” after Raymond had been placed in a mental institution. It was based on the true story of Kim Peek (1951-2009), who was autistic and could memorise whole books. During this film, the character Raymond/Rain Man demonstrated his amazing abilities to memorise lists of facts and figures. His brother Charlie found out about this and was amazed when Raymond was able to tell a waitress her phone number when he found out her name, because he had memorised all, or at least a large part of the local phone directory. It’s exactly this kind of ability which is required to program in Commodore BASIC V2 on the C64, unless the programmer just sticks to text based programs. According to surveys, about 1-2% of people are autistic. This means that when the Commodore 64 had sold 1,000,000 units it’s likely that at least 10,000-20,000 of C64 owners were autistic. The figure was probably higher than this, because once autistic people or their families had heard about the Commodore 64 and all the PEEKs and POKEs required to program it using its built in Commodore BASIC V2, then this would have made it more appealing to them, because they knew they could gain respect by programming it. 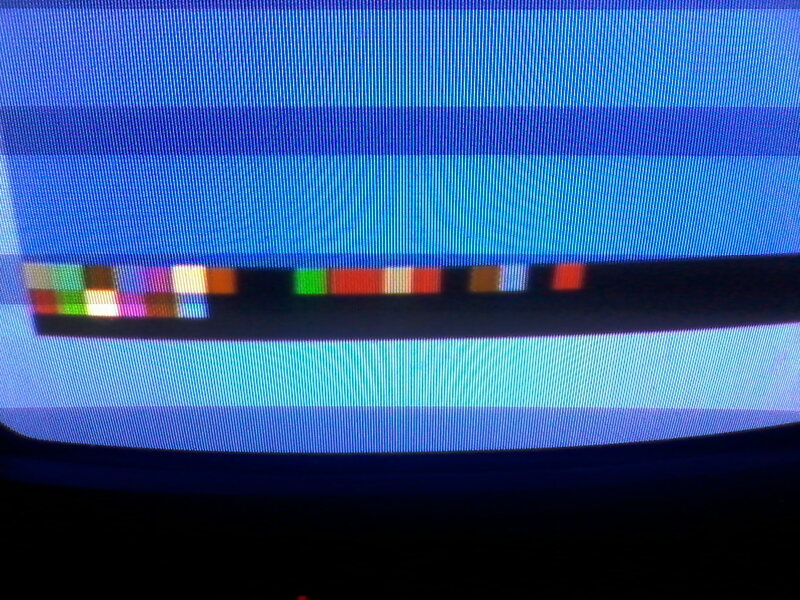 Of course, their programming needn’t have been limited to Commodore BASIC V2. Obviously, once the C64 had sold 2,000,000 units then there were likely to be at least 20,000-40,000 autistic C64 owners, creating a big enough pool of C64 programmers to write plenty of software, so that explains how some people could program lots of graphics and sound in Commodore BASIC V2, while most Commodore 64 owners were limited to coloured text programs, possibly sometimes with a few sprites and monophonic music, because these facilities were easier to program than hires graphics. 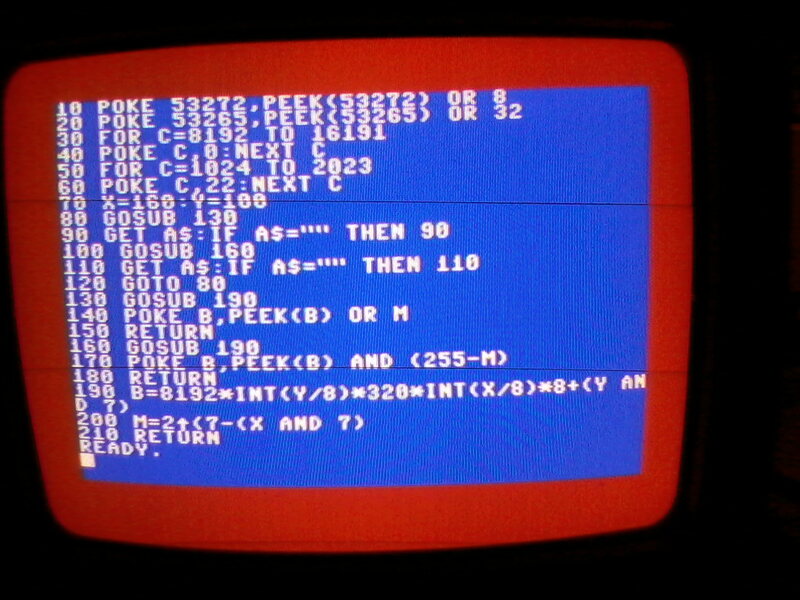 I don’t know how many PEEKs and POKEs are required in Commodore BASIC V2 on the C64 to do the things that could be done by less than 100 commands on Sinclair Spectrum and Atari 8 bit computers, but the number of memory locations has to be multiplied by at least 16 or even by 256 to account for all the numbers that could be POKEd into those locations. This takes us into a realm of hundreds or thousands of numbers to remember. As for me, I’m not autistic at all and I prefer to remember words and images rather than numbers, so that explains why I couldn’t learn to program graphics or sound using Commodore BASIC V2 on the C64. An update on the situation of autism and programming has recently been re published by http://www.slashdot.org on the page http://developers.slashdot.org/story/14/07/09/131243/normal-humans-effectively-excluded-from-developing-software , in which a programmer called Johnathan Edwards says “The way things are today if you want to be a programmer you had best be someone like me on the autism spectrum who has spent their entire life mastering vast realms of arcane knowledge — and enjoys it. Normal humans are effectively excluded from developing software”. I think that sums it up. I rest my case! 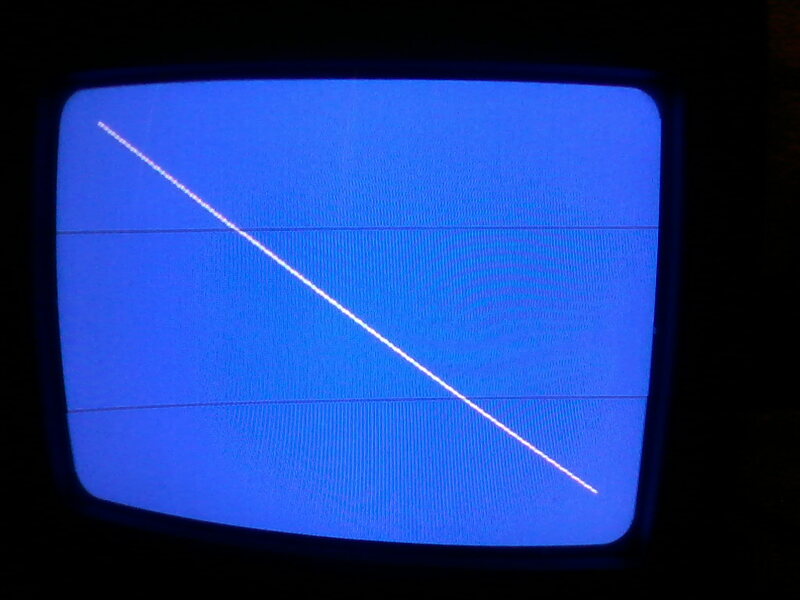 In the near future you can look forward to some more posts about drawing lines, and some news about extending or replacing Commodore BASIC V2, as well as Microsoft Extended BASIC on the Commodore 64! As my Dad often liked to point out to me, Frankenstein was the name of a Doctor who created a monster out of various body parts. Frankenstein was the Doctor, NOT the monster. 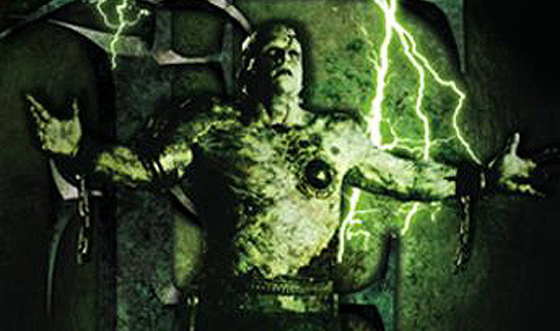 The more accurate name was “Frankenstein’s Monster”, but this was often shortened to just “Frankenstein”, after his creator. Unlike most other computers, the Commodore 64 wasn’t properly thought out or designed, it was just a collection of mismatched parts, so in that sense it was “Frankenstein’s Computer”! I often wondered what was wrong with my Commodore 64 when I owned one and was struggling to try and program it with a multitude of PEEKs and POKEs, so I’m glad that now I know! 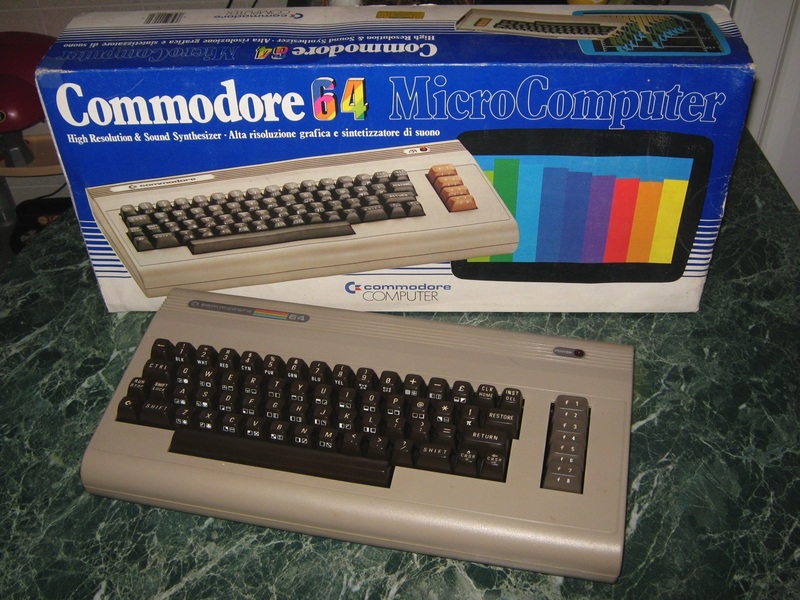 If I’d lived in the USA or Canada, then I think it would have been far less obvious to me that there was something wrong with the Commodore 64 because not many people over there had seen a BBC Micro or a Sinclair Spectrum. This was due to lack of choice, mainly because of Commodore’s price war, led by Jack Tramiel, which forced Texas Instruments out of the market, Timex/Sinclair out of the market in North America, as well as scaring most MSX computer manufacturers (apart from the US company Spectravideo, and Yamaha) from even entering that market, but also because of trade protectionism against foreign computer companies. People in the USA and Canada who bought an Atari, or a Tandy “Coco” had a lucky break, though. People living in Britain and other countries were able to buy INPUT magazine. This had BASIC type ins for the Sinclair Spectrum, Acorn’s BBC Micro and Electron, the Commodore 64, as well as the Dragon and Tandy Colour Computer. Some of the listings also had slight variations for the Sinclair ZX-81 and Commodore VIC-20 as well. Readers of this magazine could soon see that although all these versions of BASIC were quite different, only COMMODORE computers used a series of PEEK and POKE commands, while other computers used PEEK and POKE far more sparingly, or in the case of BBC BASIC not at all, because it used question marks instead of PEEK or POKE, as well as having a built in assembler. INPUT magazine also told them to buy Simons’ BASIC. At this stage I should mention that there was also quite a good magazine published in the USA called “Compute!”, which shouldn’t be confused with the “Compute! Gazette”. The magazine “Compute!” had lots of type in listings, where usually they published versions of the same game, not just for the Commodore 64, but for other computers with then current versions of BASIC. Commodore 64 owners reading this magazine could see that other computers didn’t require a whole load of PEEKs and POKEs to create games. What was wrong with the C64 can be summed up as follows. It took about 10 months of careful designing to create the VIC-II graphics chip and the SID sound chip. After this, these chips were hastily fitted, hacked, or cobbled together with the existing VIC-20 case and keyboard in a different colour scheme, a VIC-20 ROM with some more code added, and to cap it all the VIC-20/PET Commodore BASIC V2 which didn’t support the graphics or sound hardware, to form the pile of crap known as the Commodore 64! All that mattered to Jack Tramiel was to show a prototype C64 at the CES in January 1982. None of the unlucky Commodore 64 buyers would have minded if the C64 had first been shown at a CES 6 months, a year, 18 months, or two years later, or better still NEVER! After this, the prototype C64 design ended up being roughly the same or even identical to the mass production model! This process was in stark contrast to Atari and other manufacturers. I asked for a demonstration of an Atari 800XL computer at Silica Shop and was really impressed! Although I didn’t know it at the time, this was due to the design process for the original Atari 400 and 800 computers, compared with the Commodore 64. The Atari 800XL was an upgraded, compatible, debugged version which came with BASIC on ROM and 256 colours as standard, as well as 64K RAM. Some earlier Atari software won’t run on the XL, due to a ROM OS upgrade, but a third party program fixes this. The design work for Atari computers started in late 1977, as soon as the Atari 2600 games console was released. It was based on making an improved version of the 2600, but Atari decided to make a full blown computer to compete with the Apple ][. Atari wanted to use a version of Microsoft BASIC, but it wouldn’t fit onto an 8K ROM even as it was, without the ALL IMPORTANT EXTENDED COMMANDS to support their GRAPHICS and SOUND hardware! Atari commissioned Shepherdson Microsystems to produce a suitable BASIC which would fit onto an 8K ROM, but that company decided it was best to create a non Microsoft type BASIC without LEFT$ MID$ and RIGHT$, which also handled arrays differently, similar to Data General style BASIC, instead of DEC style BASIC, which Microsoft BASIC was based on. These computers weren’t shown at a CES until January 1979, but Atari’s advance plan was that, as they didn’t expect Atari BASIC to be ready in time, to use Microsoft BASIC at that show, then switch to Atari BASIC for the mass produced models. Obviously, this is what Commodore should have done with the C64! By this I mean Commodore BASIC V2 just for the CES, followed by Super Expander 64 BASIC or something like Commodore BASIC 3.5, as on the Commodore 16 and Plus 4, for the mass production models. I think Atari made a few changes after the CES, because their 400 and 800 computers didn’t ship until late 1979. That makes a design process of 18 months to 2 years! Even apart from its BASIC, the Commodore 64 KERNAL ROM contains no routines for handling colour, graphics, or sound, which obviously created lots of problems for Assembly Language programmers. After selling my C64, I found out that the Amstrad CPC ROM has a whole host of routines designed to handle these facilities, though. I managed to use these routines in Assembly Language programs on my Amstrad CPC664. 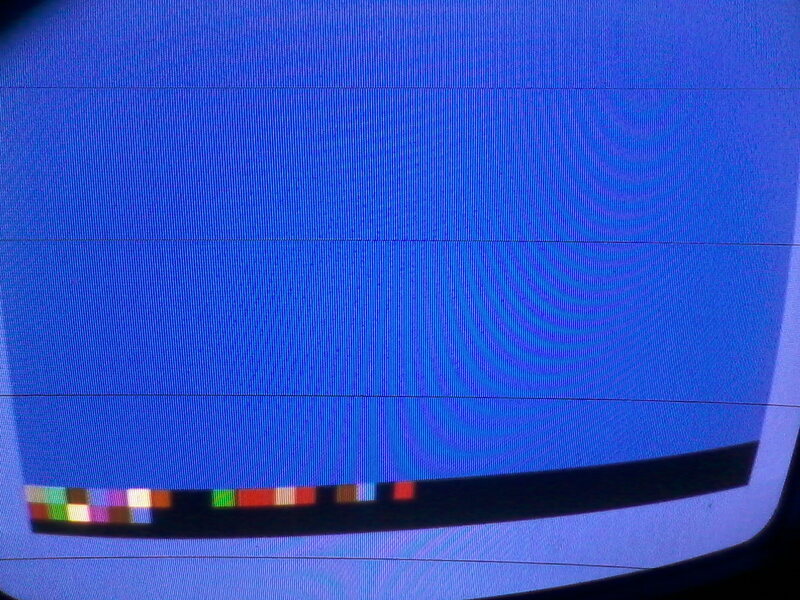 I’ve recently found out that the Atari ROM has some graphics routines like this starting at memory location $FCFC, but I’m not sure what they are yet. Don’t forget that these routines were programmed back in 1977-1978, though. Of course, a lot more time and care was taken to design the Amstrad CPC464 than the Commodore 64. Amstrad’s Locomotive BASIC even accepts hexadecimal numbers and has commands for interrupts! Commodore BASIC V2 doesn’t accept hexadecimal numbers, although short routines in BASIC programs enabled it to understand hexadecimal numbers. In spite of this, all the books and articles about the Commodore 64 which I read in 1984 which contained Machine Code in DATA statements used decimal numbers! The Amstrad CPC464 was designed as follows. Amstrad first of all designed the case before they had anything to put into it! This was an unusual approach, but at least they left plenty of space for the motherboard and everything else. As Amstrad wasn’t a computer company, they didn’t base the CPC464 on any of their older computers, because they didn’t have any. They hired people who knew about computers to put the best package together. 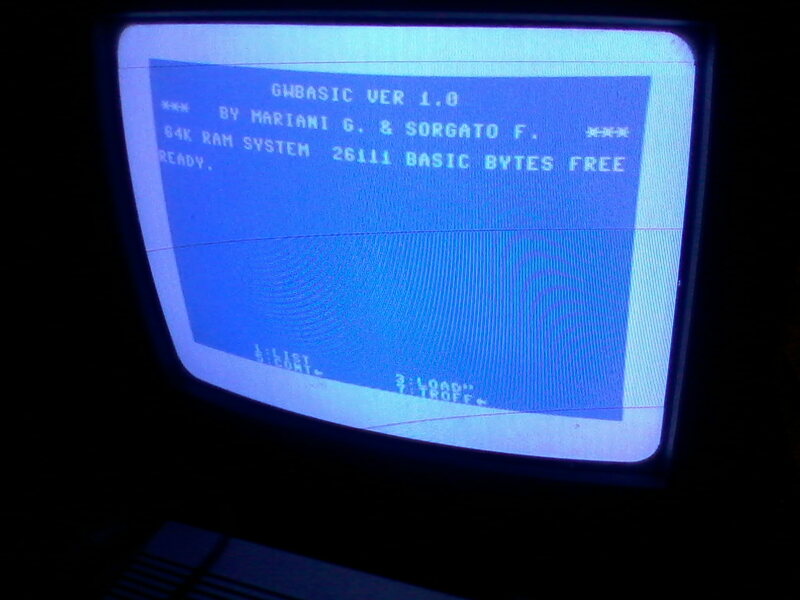 Roland Perry went round lots of companies shopping for a version of BASIC, instead of just buying the latest version of Microsoft BASIC, which would have been written in 1983 or 1984, making it similar to MSX BASIC or GW BASIC. He eventually decided to make a deal with Locomotive Software. This wasn’t long after Locomotive Software had produced a version of BBC BASIC for the Acorn BBC Micro Z80 second processor, as the BBC Micro is a 6502 based computer. Locomotive Software produced a slightly different version of this BASIC for Amstrad, deleting the PASCAL like procedure based commands DEFPROC, ENDPROC, and PROC, but adding some commands such as SYMBOL to redefine characters instead of the BBC VDU 23, a more powerful ENVELOPE command for controlling sounds, as well as using different numbers for the MODE command, although both computers used the 6845 video chip. Long variable names were kept. The number of display modes was rationalised from 8 on the BBC Micro Model B down to 3 on the Amstrad CPC464, although these modes were roughly the same resolution as the BBC Micro, but they could all display text and graphics, with a border cutting the vertical resolution from 256 to 200 and no predefined Teletext mode. A neat engineering trick gave the Amstrad CPC464 a palette of 27 colours instead of just 8 on the BBC Micro Model B. The Amstrad CPC464 started out with a choice of 20, 40, or 80 column text, although the Commodore 64 was limited to 40 column text, requiring a third party add on card or a special font for 80 column text. After I sold my Commodore 64 and got an Amstrad CPC664, I was so traumatised by my Commodore 64 experience, that when my Mum told me she was going to have a quick POKE behind our stand up piano in the living room to find a particular kind of wool, I told her not to to have a quick POKE behind the piano, but to have a quick CALL behind the piano instead. This was because the command CALL is used in Amstrad’s Locomotive BASIC on the CPC computers to run Machine Code programs from BASIC. PEEK and POKE are used as well, but obviously nothing like as much as in Commodore BASIC V2! At the time, I was learning about this from the amazing book called “Sensational Games for the Amstrad CPC464”, which had a collection of type in games written in the excellent Amstrad Locomotive BASIC. TMR has written a series of debunks of my series “BUYERS’ GUIDE LIARS!!! !” on his Jack Tramiel bootlicking blog http://www.c64crapdebunk.wordpress.com , so now I’m not writing about “The A-Z of Personal Computers” for at least the moment, I’ve decided to debunk various recent Tramielite comments he’s made. Just for the people reading this article who have come here from a search engine result, haven’t read any of my previous articles and don’t know, Jack Tramiel was the founder of Commodore Business Machines, who started out by repairing typewriters, but then progressed into making typewriters and other office equipment, such as calculators. He was a survivor of the concentration camp Auschwitz, but that’s certainly no excuse for his later behaviour, namely reusing an antique 1977 version of Microsoft BASIC on computers released years later, including the VIC-20 (1981) and the Commodore 64 (1982). As for me, I grew up in a slum because of my Dad’s unfinished DIY jobs AND he was a hoarder, so I can say what I like, but not try and con anyone!! Jack Tramiel also waged a violent price war against his competitors, including Atari, Texas Instruments, and Timex Sinclair, nearly bankrupting Atari, forcing Texas Instruments out of the home computer market in revenge for them suddenly bringing out cheap calculators instead of just supplying Commodore and other manufacturers with chips, forcing Timex Sinclair out of the market in North America, and scaring off most the MSX computer producers from even entering that market. One of his quotes is “If someone sells a product against me, I want to wipe them out!” What type of attitude is that? Not one in anyone else’s interests, that’s for sure! Jack Tramiel was a schlemiel!! The Commodore 64 only has 16 colours, compared to the Atari 8 bit range’s 256 colours on upgraded models and later models. Programming tricks can be done to make it appear to have more than 16 colours, as featured in magazines even in 1984. The results of later tricks, involving massive RAM upgrades and interlacing usually aren’t that impressive, because of using the same old 16 colours. These screens, tend to have a lot of blue, yellow, and grey, like in the lizard animation recently posted by TMR. There wasn’t much of a choice of programming languages on 8 bit “home computers”. This was because a lot of, or even most, users only had cassette storage, often called “data recorders”, or “datasettes”, due to the high prices of disk drives. The popularity of disk drives varied depending on where people lived, though. Disk drives were quite popular in Germany and the USA. Having a disk drive opened the possibility of quickly loading the language of your choice from disk, then it was possible to compile programs in these disk based languages into Machine Code, if a compatible compiler had been released for the language you were using. Sadly, in Britain during 1984, so such replacement language with a compatible compiler was available. If there had been, I’d have found it, because I was driven by desperation and being pushed closer to a nervous breakdown by Commodore BASIC V2 the whole time. Abacus, whose BASIC Compiler TMR often goes on about, had released Ultrabasic, but it was just an extended BASIC, with no mention of any compiler in the magazines I read at the time, or at the dealers I went to, such as “The 64 Software Centre”. Apart from this, there were lots of extended BASIC packages, so there was no particular extended BASIC which magazines could write lots of articles about, because the market was fragmented. There was the PETspeed BASIC compiler, but AFAIK this was just for compiling the PET compatible crappy Commodore BASIC V2. The Abacus 64 Compiler that TMR referred to was Copyright Data Becker 1984. I think this means it may only have been programmed in Germany in 1984, then not even released in Germany until 1985, then later released by Abacus in the USA and other countries. Whenever it was released, by that time I was no longer interested in the Commodore 64, while thousands or millions of other Commodore 64 owners had been brainwashed that they didn’t have the aptitude to program computers at all. Something about this was mentioned somewhere on the http://www.atariage.com forums, where C64 owners with disk drives later wanted games as presents, while Atari owners were more likely to want programming languages and C64 programmers sometimes asked Atari programmers for help with 6502 Assembly Language programming. Unfortunately, I couldn’t find this topic in recent searches, but I know it’s there somewhere. The term “user friendliness” can only refer to software actually supplied with computers. My Commodore 64 wasn’t supplied with any software except the built in BASIC, which was how the C64 was usually sold at the time, so this means that’s the only thing the term “user friendliness” could be applied to. Commodore had the choice of creating a new BASIC or buying a new version from Microsoft before releasing the C64, but they refused to do either of these things. 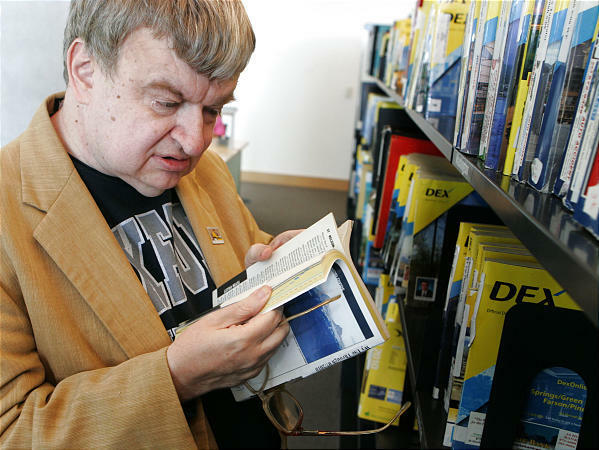 Other companies, such as Acorn, Sinclair, Camputers, and Memotech, put in a lot of work to create new dialects of BASIC for their computers, Tandy, Dragon, and MSX computer manufacturers bought advanced versions of BASIC from Microsoft, but Commodore under Jack Tramiel the schlemiel couldn’t have cared less! Of course, when any device which is difficult to use, such as the Commodore 64, is released, there will always be some people out there who manage to work out how to use it. Alan Turing’s team at Bletchley Park cracked the Nazi Enigma machine’s coded messages during WWII, but that didn’t make the Enigma a “user friendly” device! According to TMR, Atari released enough documentation about their 400 and 800 computer models to write “Elektra Glide” after “a couple of years”, but that wasn’t too bad because it only takes the story up to about 1981, when not many people had a computer at all. I’ve noticed that in lots of searches I do for my research on the Commodore 64, some of the results usually include my blog, including the pics on here, so I’m glad these facts about the Commodore 64 are being noticed! TMR thinks that the Editors and Sub Editors of computer magazines didn’t need to know about computers in order to edit their magazines. Obviously this is ridiculous and resulted in people buying a computer without a version of BASIC which supported its hardware! As for the Editors of “The A-Z of Personal Computers” being mugged for a refund and compensation, I think they deserved this for the stress they put me and other budding BASIC programmers through for their failure to warn people about the disgusting, antique BASIC on the C64. I wrote letters to them complaining, but they refused to do anything about it, so that made them even more guilty. TMR says this makes me “pathetic”, because I don’t agree that it’s OK for people like Jack Tramiel and the staff of “The A-Z of Personal Computers” to con me. He probably thinks that people who have suffered injustice, should just “move on” and forget about it, whereas people like Jack Tramiel saddling innocent victims with an antique BASIC was OK. If the alternative is to be like Jack Tramiel, then I’d rather be “pathetic”! The meanings of various words and expressions often change, sometimes becoming the exact opposite of their former meaning. The word “apathetic” means not caring about something, so logically, the word “pathetic” should mean actually caring about something. Based on this, I hereby declare that “pathetic” now means “a person who cares and believes in getting satisfaction, justice or revenge after being conned, harassed or attacked or somehow slighted, who refuses to just forget about the incident and move on. This applies especially in response to provocation such as other people gloating or even celebrating the anniversary of such an incident”. I’m pathetic. It’s cool to be pathetic! Sinclair Spectrum graphics artist David Thorpe said he was an architect and that he planned his graphics screens first on graph paper, before drawing them in the package Melbourne Draw sometimes creating or manipulating graphics in BASIC. He also said he could only program in BASIC, not Machine Code. I have even read that some screens in games created using Garry Kitchen’s Game Maker had to be drawn using commands within that program, because only two static graphics screens could be loaded. I don’t think it’s important to talk about how many colours these 8 bit “home computers” could get on screen at once, because most C64 software used the 160×200 mode, with 16 colours, but only 4 colours in each 8×8 pixel square, which isn’t a 1:1 ratio, as if that was relevant! Atari 8 bit computers have so many built in display modes that it’s difficult to recognise or even remember them all, even apart from the custom modes using display lists! Of course, I’ve only recently realised or remembered that the Memotech MTX computers had FOUR programming languages built in. Unfortunately, Memotech didn’t promote it with slogans such as “FOUR built in programming languages! That’s three more than most other computers!! FOUR chances to learn programming!! No other computer offers you this without expensive upgrades!!! !” More importantly I don’t think I ever saw a Memotech MTX computer in a shop. If they weren’t available in the shops when other computers were, then people were less likely to buy them. 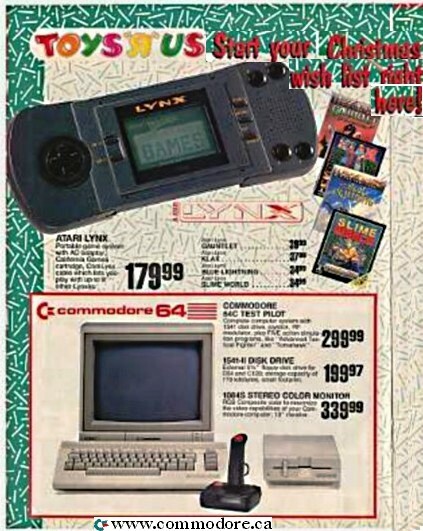 Unfortunately, the C64 was even available in toy shops. This could have given people the impression that computers, or certain computers at least, were just toys, so I can understand lots of manufacturers not wanting to sell any of their computers in toy shops. When the C64 first came out with 64K on board, this sounded impressive, but Commodore’s competitors soon upgraded their RAM to 48K or even 64K, so that didn’t really matter. Trying to fill 64K was very difficult in those days, unless you wrote a long letter, or created a large database. The easiest way to fill 64K on the C64 was probably to use a “graphics editor” to create, then load a few graphics screens of 8K each, hold them in RAM simultaneously then switch between them. I don’t remember seeing any Commodore advertising explaining in much detail how anyone could fill their 64K RAM. They just seemed to say that the more RAM the better. That’s about it for this debunk. As for me, I’ve recently been studying some Polish to help me understand Atari demos in Polish, as well as making big progress using my Atari Assembler Editor cartridge. You can look forward to reading more soon about extending or replacing C64 BASIC V2, drawing lines on the C64, and more about “The A-Z of Personal Computers” in the near future!